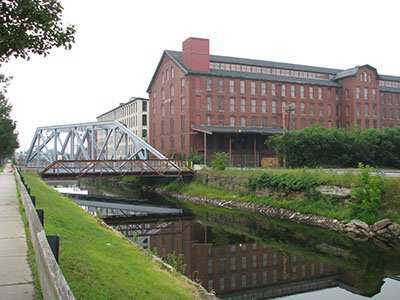 The Pemberton Mill, a large cotton goods factory, collapses without warning, killing an estimated 145 workers and injuring another 166. It is one of the worst industrial accidents in the state's history. Flour dust inside the Washburn Mill ignites, causing an explosion that levels the seven-and-a-half story building and blows the roof several hundred feet into the air. 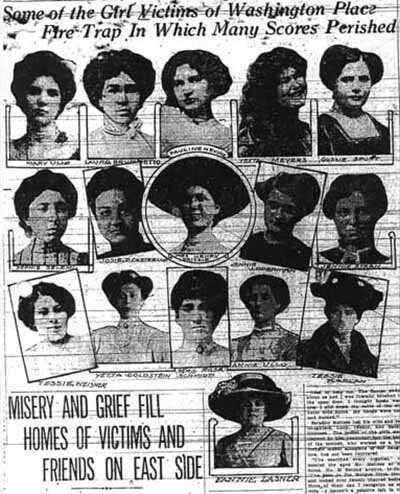 Eighteen workers die. Two hundred men in a Pleasant Valley Coal Company mine lose their lives when 24 kegs of black powder accidentally explode. 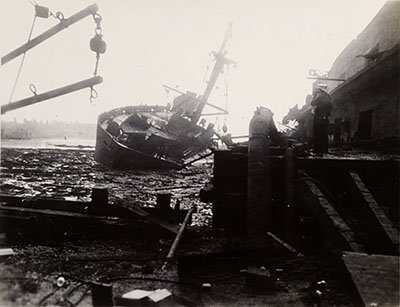 Following a boiler explosion, the four-story wooden R.B. Grover Company's shoe factory collapses and bursts into flames, burning workers trapped in the wreckage. Fifty-eight people die, and 150 are injured. An explosion at Fraterville Coal Mine takes the lives of at least 184 men and boys. The cause was most likely a build up of methane gas. In the worst mining disaster in American history, an underground explosion kills 362 out of the 380 men and boys working that day. Approximately 60 workers constructing a water intake tunnel a mile offshore die after a powder magazine explodes. Made entirely of wood, their living quarters quickly catch fire, and the flames spread throughout the construction site trapping the men between the fire and the ice-filled water. A coalmine explosion traps 145 men, more than 80 of whom die. 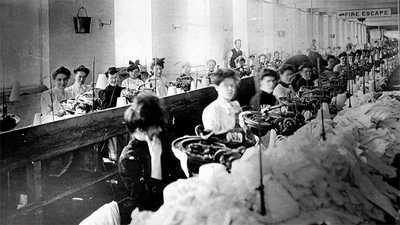 Workers at the Triangle Shirtwaist Factory become trapped after a tossed match ignites an enormous fire. Exits are blocked, and several people jump out of the ninth and tenth-floor windows in attempt to escape. The 146 victims were mostly women and girls. The Stag Canon coal mine collapses after a controlled underground detonation sets off large explosions of dust. Out of the 284 men in the mine, 261 die along with two rescue workers. At a North Butte Mining Company copper mine, a lamp flame sets fire to uncovered insulation. A mine shaft erupts in flames killing 164 men. Also known as the Great Molasses Flood, 21 people die and 150 are injured when a storage tank bursts at Purity Distilling Company and a giant wave of molasses speeds through the streets of Boston's North End neighborhood at 35 miles per hour. A miner ignites a pocket of methane gas while lighting his safety lamp, causing an underground explosion that kills 172 men. 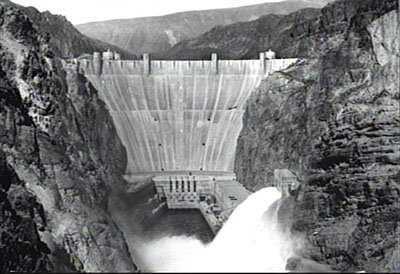 Over the five-year construction period of the Hoover Dam, there are at least 96 construction-related deaths, though accurate records were not kept. Many are caused by carbon monoxide poisoning in the diversion tunnels. Seven miners riding up an elevator are killed when a large boulder crashes down the shaft. At a Naval Magazine 35 miles from San Francisco, 4,600 tons of incendiary bombs explode during ammunition loading, killing 320 cargo handlers, crewmen, and sailors. An above-ground storage tank holding liquefied natural gas -- one of many in the East Ohio Gas Company's tank farm -- leaks vapor from a small seam. Winds from nearby Lake Erie push the vapor into a residential area where it drops into the sewers. When the vapor ignites, the explosion sends manholes flying into the sky lifted by jets of fire. The ignited gas sets residential homes aflame, along with the people inside. One hundred thirty people die and hundreds more are left homeless. A coal mine explodes, killing 111 miners. A Federal inspection a week prior to the disaster showed "no imminent danger." The S.S. Grandcamp explodes while in port, killing 581 people. It had been holding roughly 2,300 tons of ammonium nitrate when someone noticed a fire on board. In the Titan II underground missile silo, a rupture in the electrical system causes an explosion, trapping 53 men inside. None survive. An in-rush of water from an unintentional "holing through" of a room into an abandoned mine traps 25 men inside the Saxsewell No. 8 mine. Four of the men die from drowning or fatal injuries. Seventy-eight miners die in a mine explosion when dangerous accumulations of loose coal and coal dust spark an explosion that spreads throughout the entire mine. In Buffalo Creek, one of the Pittston Coal Company's coal slurry impoundment dams bursts, unleashing 175 million gallons of black wastewater, killing 125 people, and leaving 4,000 homeless. 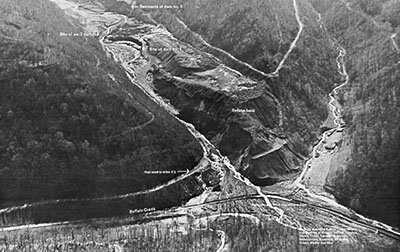 Just four days earlier, a federal mine inspector had declared the dam "satisfactory". A partially constructed cooling tower at a coal power plant collapses and sends 51 men falling to their deaths. At the Union Oil Company Refinery, a worker notices vapors escaping from a tiny crack in a high-pressure, 100-foot tower filled with gas. He works quickly to shut off the pressure valve, but a spark from an unknown source ignites the fumes. The subsequent explosion launches the 34-ton tank more than 3,400 feet in the air and engulfs much of the refinery in flames. Seventeen workers are killed in the fire. A partially constructed 16-story apartment building at L'Ambiance Plaza collapses due to structural deficiencies, killing 28 construction workers. An oil refinery accident kills seven workers and leaves 42 injured. A malfunction in the catalytic cracking unit, used to break down crude oil into gasoline, is cited as the cause of the explosion. At a local metal-plating plant, the improper mixing of chemicals suffocates and kills five workers. An American oil rig, the Piper Alpha, explodes and kills 167 men. A series of explosions near the Houston Ship Channel kills 23 people and injures 314. The blast occurs during a routine maintenance check on the Phillips chemical plant's polyethylene reactor, when a large quantity of flammable gases ignites. 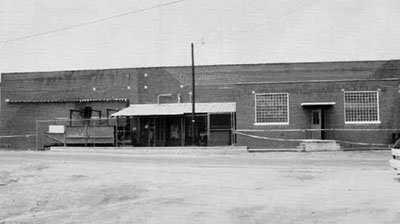 At an Imperial Foods chicken processing plant, 25 workers die in an industrial fire after being trapped inside by the locked fire doors. The fire was caused by a faulty modification in a hydraulic line. In its 11 years of operation, the factory had never received a safety inspection. Poor working conditions and broken safety devices lead to a gas explosion at a British Petroleum oil refinery. Fifteen people die in the blast and over 170 are injured. A methane explosion at the Darby mine kills five workers. A dust explosion at the Imperial Sugar refinery kills 13 people and injures more than 30 others. At an under-construction power plant, six people die and at least 12 are injured in a gas explosion. Workers are clearing gas from the pipelines when the explosion occurs. At the Upper Big Branch mine, 29 people die in an underground explosion after a methane gas leak reduces oxygen levels to deadly levels and eventually ignites. The mine had a history of safety violations. Methane gas shoots up a Deepwater Horizon oil well, igniting from a spark in the rig's engines. 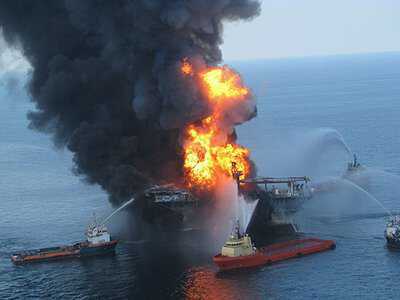 The explosion kills 11 workers, and the incident results in the worst oil spill in U.S. history. 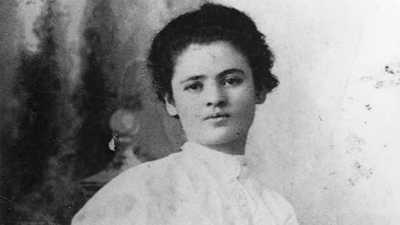 This 23-year-old Ukrainian immigrant was the voice that helped incite the famous 1909 women's labor strike. 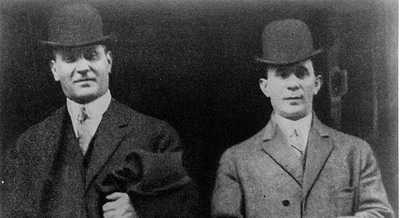 After a decade of working in New York's garment district, Isaac Harris and Max Blanck entered a partnership that earned them the nickname of the "Shirtwaist Kings."